How can healthcare providers deliver consistently high-quality care, everywhere? 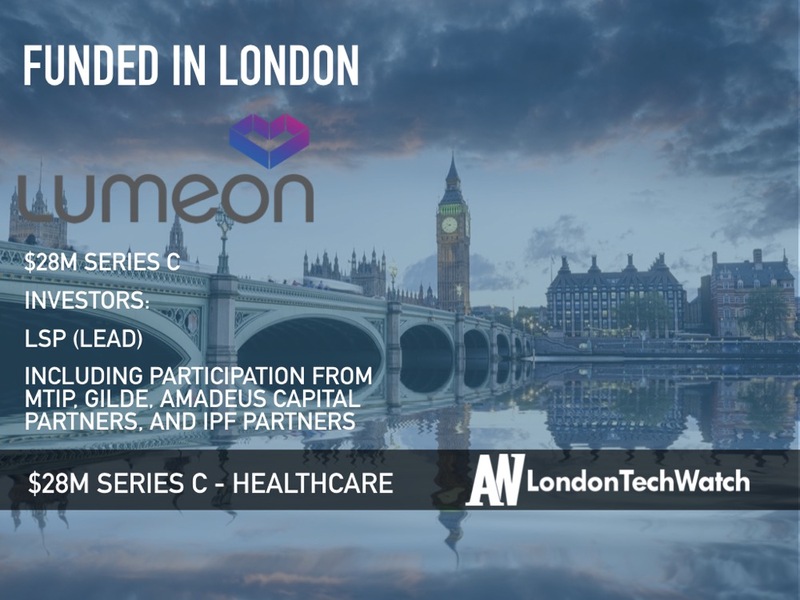 Lumeon is the London-based healthcare company responding directly to this question through its Care Pathway Management (CPM) platform. Designed to lower operational costs and engage patients, the CPM platform provides a 360 degree perspective of a patient’s care plan to optimize all the moving parts in a patient’s treatment starting with clinical decisions and the relationship between providers and patients. The platform utilizes automation to deliver consistent level care of care that minimizes the chance of error. 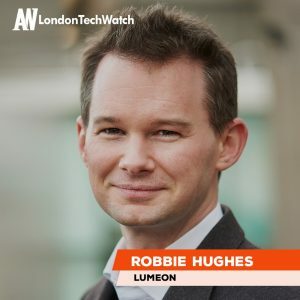 London Tech Watch spoke with CEO Robbie Hughes about Lumeon’s technology, its future expansion plans, and most recent round of funding, which brings the total funding raised to $34.3M across five rounds since its founding in 2005. 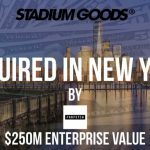 $28M, Series C. Along with LSP as the lead investor, the funding includes venture capital from MTIP and participation from current investors Gilde, Amadeus Capital Partners, and IPF Partners. Tell us about the product or service Lumeon offers. Lumeon’s Care Pathway Management (CPM) platform combines a clinical decision engine, patient and care team engagement with a powerful automation engine. Care is delivered according to best practice, and inconsistencies and unwarranted variation are eliminated. With 80% of the cost of healthcare being in the delivery side, the opportunity for reducing these costs and improving the quality and consistency of care delivered is substantial. What inspired you to start Lumeon? The company was started to solve a very simple problem: How do you help healthcare providers deliver consistently high-quality care, everywhere. It’s a simple ambition, but remarkably poorly addressed and highly complex to solve. It is our ability to deliver on this promise that is fueling our growth. The concept of wellness is becoming increasingly popular, can you tell us a bit more about your lifestyle coaching pathway? The idea of wellness and more broadly preventative medicine is a sound model that is unfortunately disproportionally difficult to solve. Those that have the greatest need for preventative approaches are also those who have the least ability to comply with the digital programs that are proving so popular today. 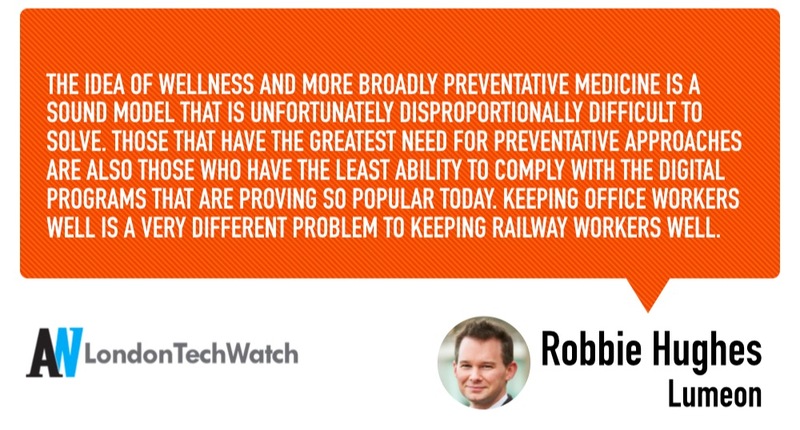 Keeping office workers well is a very different problem to keeping railway workers well. The funding enables Lumeon to expand commercial operations in the U.S. healthcare market, the largest market in the world at $3.3T. In addition to US expansion, we continue to serve the UK independent and NHS markets. The specific opportunity we see is making a dent in the care delivery costs of that market which represents 80% of that number. In other words, it’s a big opportunity. We are a B2B Enterprise sales company that charges a license fee for product usage. Customers can start small and then expand as their usage grows. Funding a business is a very specific experience. The challenge lies in finding a partner that shares your vision and with whom you have strong alignment. Once you’ve found that group of individuals, the aim of both parties is to get the process completed as quickly as possible – as the deal-making itself rarely adds value to the business or the relationship. In this case, we had strong alignment on the opportunity. We were able to get decisions made quickly amongst principals, which made potentially complex legal issues far simpler to resolve. It’s also worth noting that we had great support from our legal team. They were always able to bring a pragmatic view to many decisions, which helped guide the transaction to a close. The majority of revenues are coming from a US market, so I think it would be difficult to deny the fact that funding a UK founded Enterprise B2B business, in healthcare, was not going to be an easy bet for many investors. But this is the difference between financial and market specialist investors. Our capital comes from investors who possess a deep knowledge of the sector we are in, which allows them to see the same opportunity that we do. Lumeon is a highly unusual business. Not only has it achieved material revenue traction in the UK private market, where it was founded, but it has also replicated this in the NHS and the US. I can’t share all of the news around this today, but over the coming months, it will become increasingly obvious what we’ve been working on and why we have got the support we have. It’s an exciting time. In our business, decisions that are made in month one tend not to play out publicly until month twelve, so I’m happy to say that we have a lot of exciting work already in the pipeline! I’m not sure there is a single piece of advice that could be useful to every type of business, but I can say this: make sure that you never compromise on hiring the best people you can. You never regret over hiring for a role, but you will pay for under hiring time and time again. Whilst this is easy to say with a large cheque in the bank, this business ran for 6 years without external investment, so I have a very intimate understanding of what happens when you feel you need to compromise because of cash flow limitations. There is always a way to make it work, and once you start bringing in great people, others follow. A players don’t like to work for B players. As boring as it sounds, we’re going to keep doing what we’re doing. We have the team, the opportunity is clear, and we intend to take advantage of it before anyone else does. That’s why we raised money. What is your favorite London pub to grab a pint with the team? The camel & artichoke next to our office is a personal favourite of mine, particularly in the summer in the garden.